Why is it that the stuff that tastes better usually always costs more? I say usually because I reckon there are exceptions to this rule. They aren't easy to find though. Well on the positive side they are anyway, I'm sure it isn't too hard to find expensive wines that taste ordinary, the other way round is a bit harder. Sadly the wine in this post is neither, well not that sadly really as this was an absolute cracker! 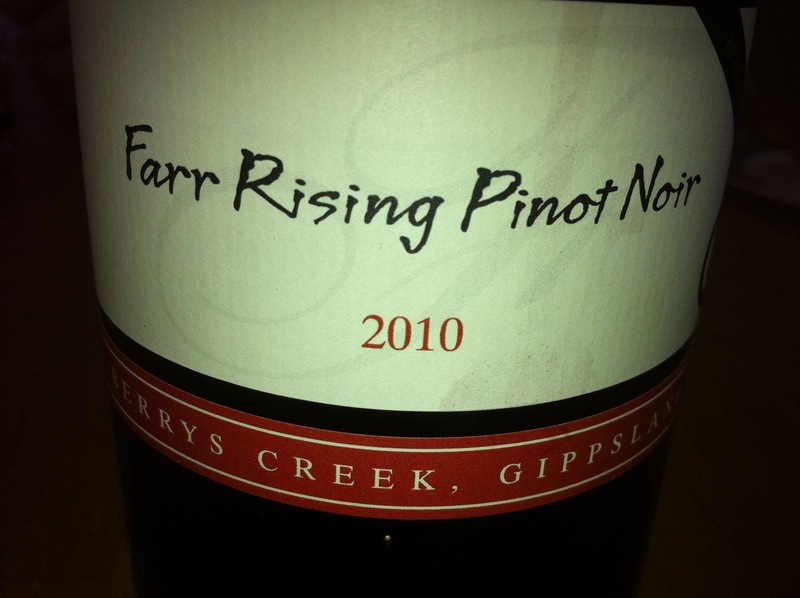 I have a new under $50 favourite Pinot, I just wish it was a bit more under $50. This was $45 from Blackhearts and Sparrows on Lygon Street, East Brunswick. I really like this wine store although hadn't been there in ages. The time to my next visit will be way less that's for sure. 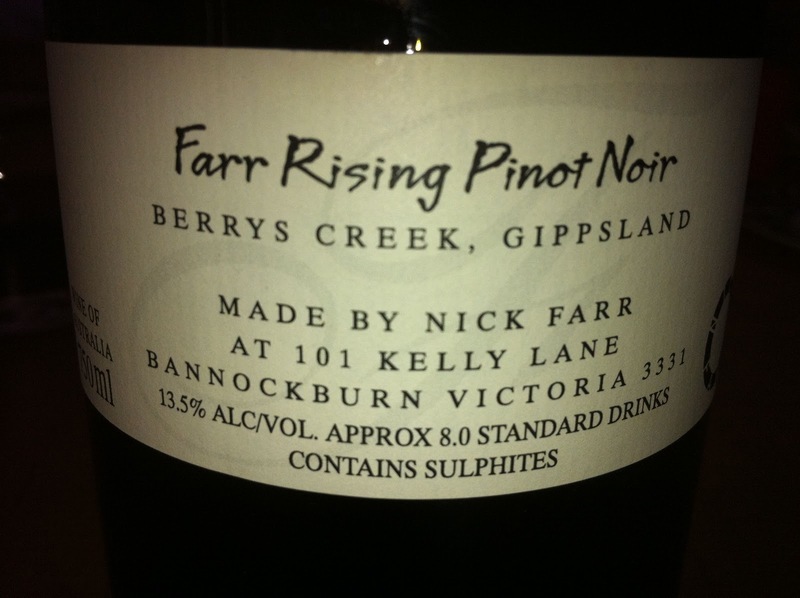 My favourite thing about Blackhearts is the tasting notes displayed with all of the wines. In my opinion this gives a bit more independence and comparability between wines which is much harder when using the labels alone, a lot of producers don't even bother providing any tasting notes on the label which makes choosing even harder. When it comes to choosing Pinot my strategy is pretty simple. 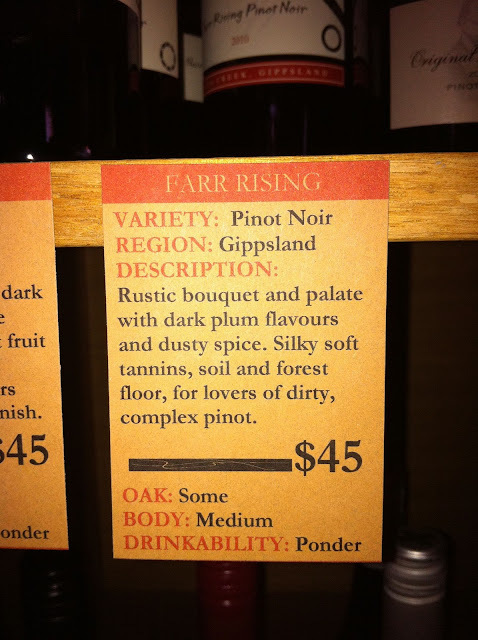 If its from Gippsland and I haven't tried it and it isn't out of my price range I'll buy it. Secondly, if the tasting notes have the words 'forest floor', 'musky' or 'funky', I'll buy it. I really loved this wine, definitely my favourite Pinot Noir so far this year. Its only early days but I am sure to be drinking this one a few more times, well as much as I can afford anyway. 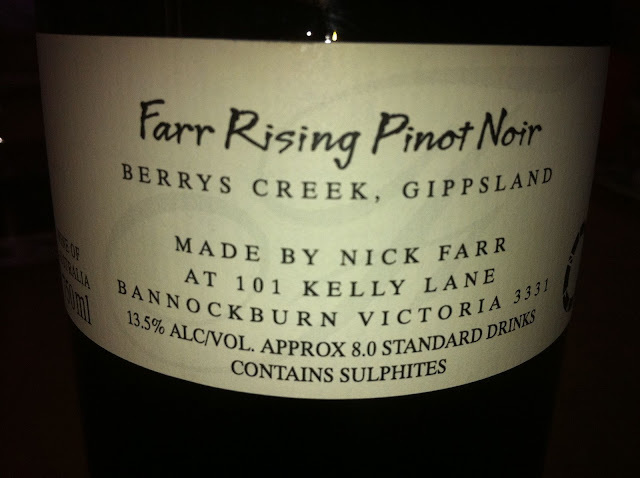 It had all the characteristics that I love in a Gippsland Pinot, medium bodied with nice smooth tannins and lots of funk. Many of the Pinot's these days are lovely and easy to drink but a bit lacking in substance, this wine had that lovely musky smokiness (in a good way, not taint), it's a special taste sensation that I equate to a nice blue cheese or a good oyster, strong, unique and maybe a bit acquired but totally wonderful! Well that's my attempt at describing it, but don't worry I have posted Blackhearts tasting notes which are infinitely more professional!